This awesome RS model may already be a future collectible. We are extremely excited for the upcoming Audi TT RS and have even referred to it as a baby-Lamborghini. 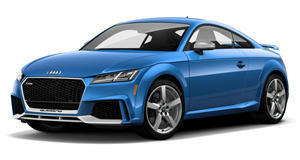 The TT RS is pretty special with a 2.5-liter five-cylinder turbocharged engine making 400 hp and 354 lb-ft of torque. If the TT RS's specs haven't impressed you enough to run to the dealership and buy one, you may be too late. 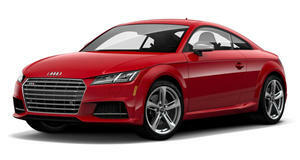 According to Audi's UK website, "Audi UK has been allocated an extremely limited number of cars. No factory orders available, Centre stock only." Pistonheads reports that you won't be able to choose your options anymore. Audi UK dealerships have ordered a variety of colors and option packages, but you will have to find the one you want. If a dealership hasn't ordered one exactly how you want, you might be disappointed. The UK's first run of TT RS models was only 200 examples. Audi needs to meet demand for the US RS3 sedan, which uses the same engine. The TT RS has not reached US dealerships yet, but this news does not bode well for American customers. Audi is already very stingy with which RS models are sold in the US, and we doubt that TT RS models will be easy to find at US dealerships. If the TT RS continues to be pushed to the side for the RS3, it could end up being even more rare than the Porsche Cayman GT4. We think that this early news about the TT RS bodes well for its collectibility in the future. The TT RS doesn't have a US price as of now, but we wouldn't be surprised if they sell if a significant dealer markup when they hit showrooms.